Announcing the New Miss Gay Charlottesville Pride: Max Miss Everything! Max Miss Everything performing at a previous Cville Pride Festival! What a night! 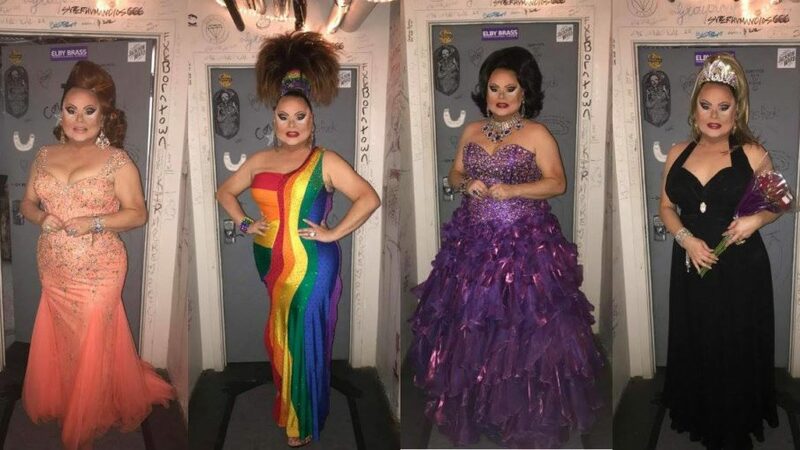 The Jefferson Theater hosted a terrific crowd for the revival of the Miss Gay Charlottesville Pride Pageant, and the winner was Max Miss Everything, a favorite Cville Pride headliner of several years. Congratulations, Max!! But the show really shone because of hosts Dreama Belle and Bunny Nicole. They produced a fantastic whirlwind of glitz and glamor and fun. 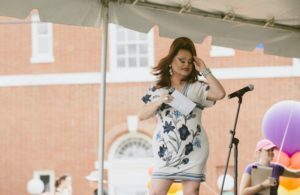 Charlottesville is lucky to have these two putting so much hard work into making our city have a vibrant drag scene – not just at Cville Pride, but all year round!